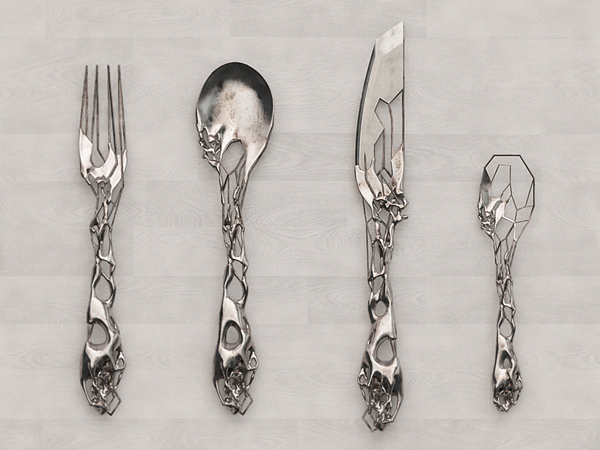 Well, that’s a nice family portrait of cutlery isn’t it? They call this a starter set and I’d say it’s a start to a large family and an adventure (pun intended). The International Silver Adventure is a flatware setting for 8 people. 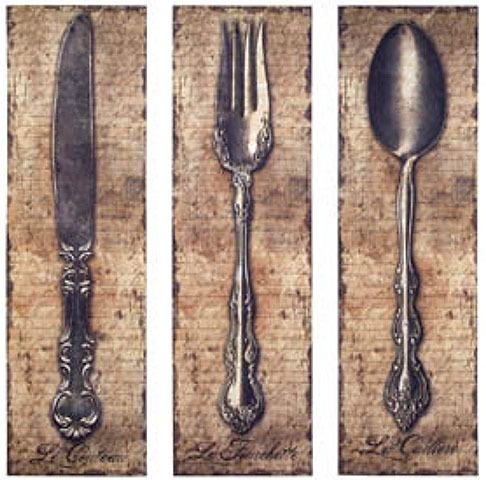 This includes a hostess set that consists of a large tablespoon, 1 pierced tablespoon and 1 cold meat fork (what would make it a hot meat fork?). 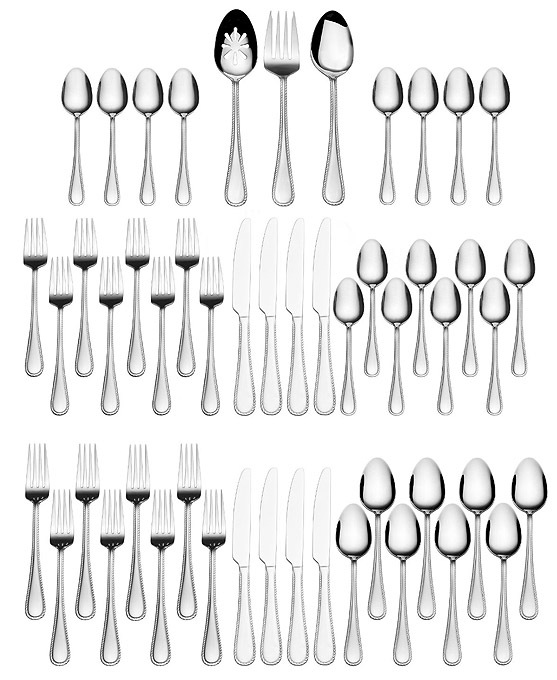 The full set includes salad forks, dinner forks, dinner knives, dinner spoons and teaspoons. It’s made of 18/0 stainless steel and is a good price for a complete set to fit a new kitchen. This is a rather nice set at a good price. 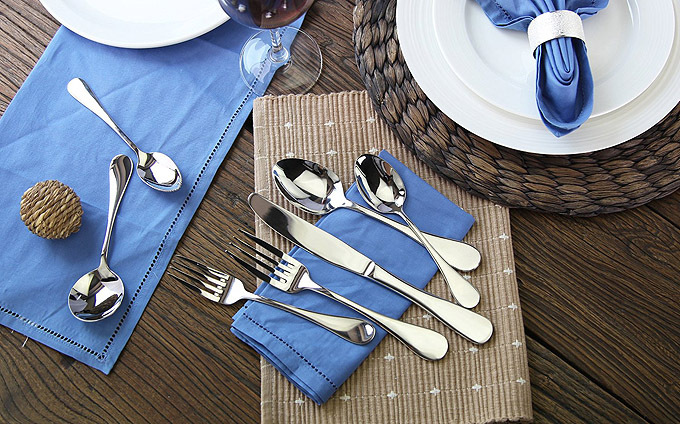 From Lenox the Portola flatware set includes twelve 5-piece place settings and one 5-piece hostess set. 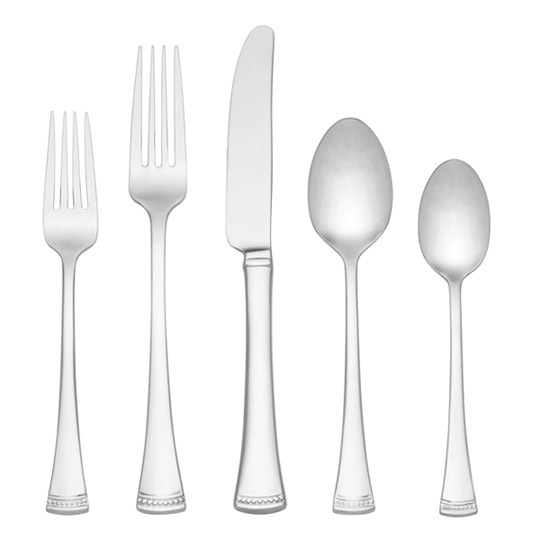 The 5-piece setting is the standard dinner fork, dinner knife, soup spoon, salad fork and teaspoon. 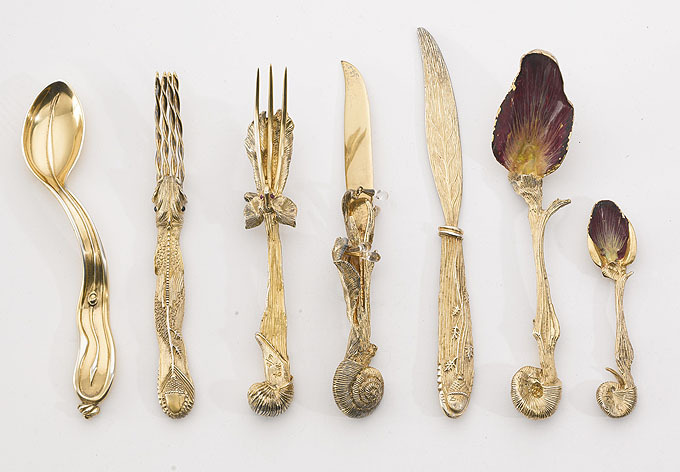 The hostess set consists of a sugar spoon, butter serving knife, cold meat fork, serving tablespoon and a pierced tablespoon. 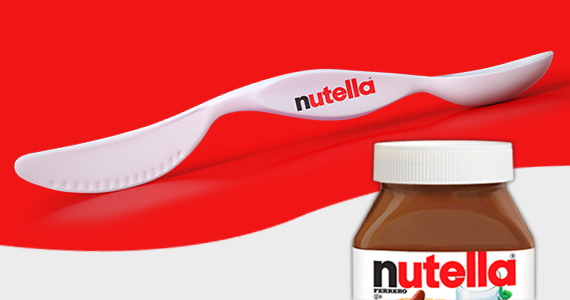 It is 18/10 tarnish resistant stainless steel and dishwasher safe. It’s a subtle design with a little bead work edging at the end of each handle. This set is a great gift or replacement for your old kitchen’s cutlery. A while back we did a week of reviews on the various types of pizza cutters. The nice folks at KitchenAid have sent me their new pizza wheel that is part of the Architect Series. The first thing that struck me about this wheel style cutter is the heft and weight, this thing is built for pizzeria kitchen duty. It has a nice ergonomic handle with finger guard and the wheel is made of stainless steel. The handle fits the hand well and has a good angle for downward pressure when cutting. You can cut more than pizza with this, I tried cardboard as well and it didn’t have any problem (no kidding, be careful you don’t cut through a pizza box). It can be disassembled for cleaning but I don’t see the need for that as it’s dishwasher safe.